City of Sheboygan ($30,000)The Fund for Lake Michigan is proud to continue supporting the City of Sheboygan which will use this $30,000 award to implement its Adopt-a-Beach and Adopt-a-Habitat programs for the 2017 and 2018 school years. 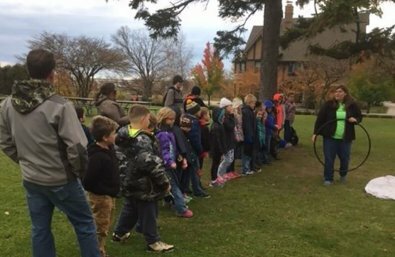 With the ultimate goal of instilling students with a sense of stewardship for the lake, these programs will afford 3rd and 7th graders hands-on learning opportunities such as water testing and native planting at Sheboygan’s Deland and King Beaches. The programs will involve a total of twenty beach visits each year, and the activities students will partake in will directly support beach restoration investments.